I spent the day birding with a woman from Vermont. We ended in the evening on Tybee Island North Beach and walked up to the little pond near Polk Street. We had just seen a greater yellowlegs on the beach as I stared at a yellowlegs-like bird with white around its face, a heavily patterned back, and a beak that just didn't look quite right for a yellowlegs. I thought "ruff???" and checked my Sibley Eastern but the pictures just didn't match up. I took several photos. 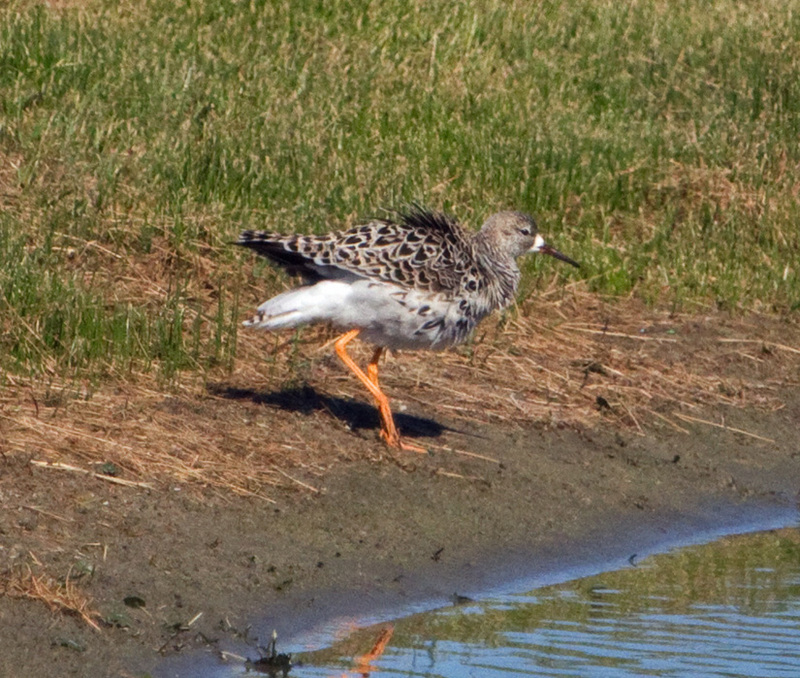 When I got home, I consulted the Shorebird Guide by O'Brien, Crossley and Karlson and found a photo of a juvenile ruff that showed the white around the face and patterned back. After a brief interlude to complete my checklist and upload photos, I headed back to the pond where the bird was still hanging out. 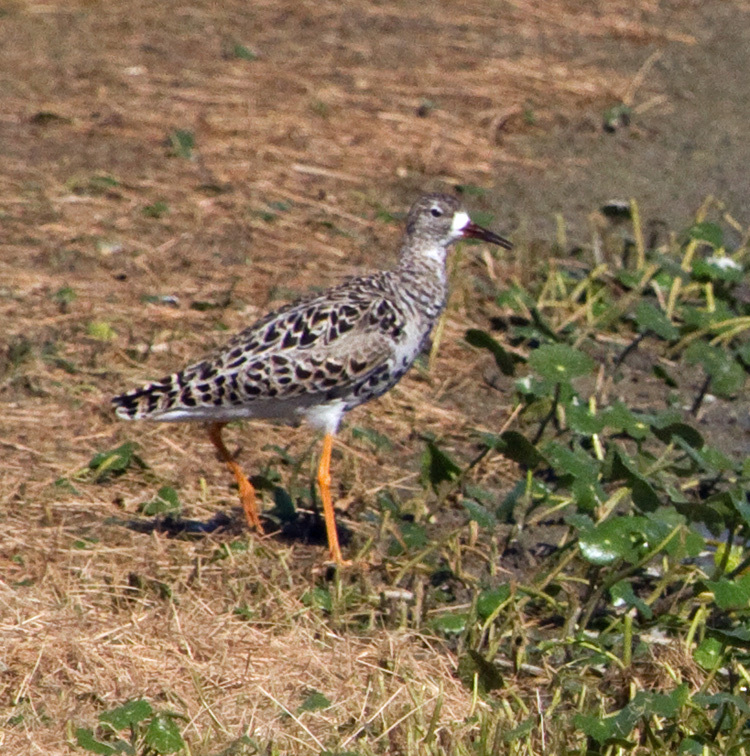 I was able to get one other birder, Joel Ludlum, out to see the bird. 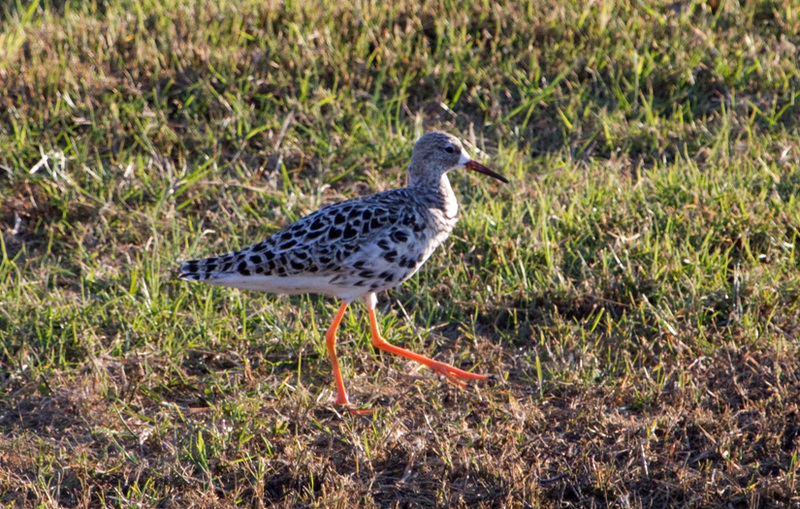 It hung around until just before sunset and then took off towards the beach in the direction of Ft. Pulaski. 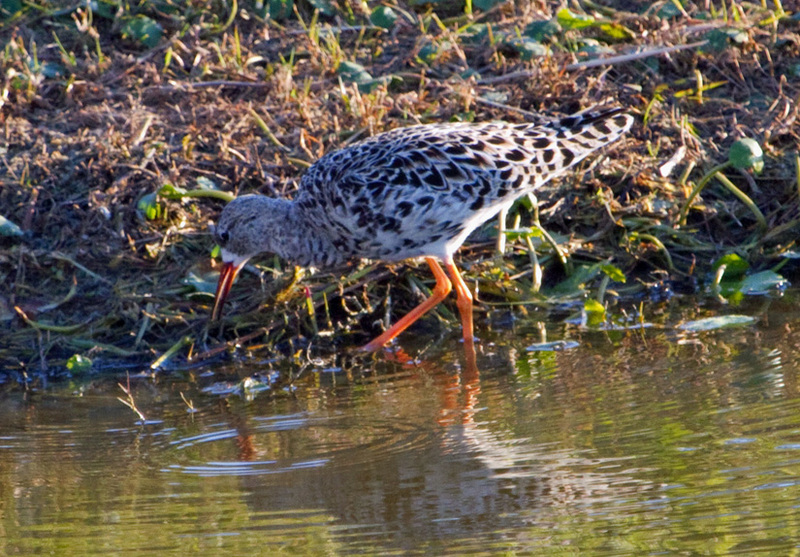 The first time I watched the bird, it flew to the side of the pond where the light was good. 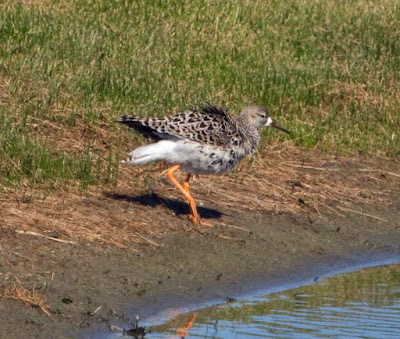 When I returned, the ruff was still there but hanging out on the shore where it was backlit. Still very nice looks though. 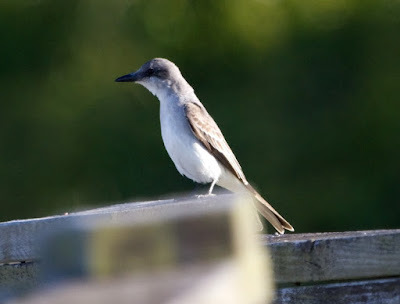 For an extra bonus, my first of the season Gray Kingbird showed up on the railing and did some flycatching over the pond. What an evening!